WRINKLES SCHMINKLES REVIEW- DO THESE SILICONE PADS REMOVE WRINKLES? 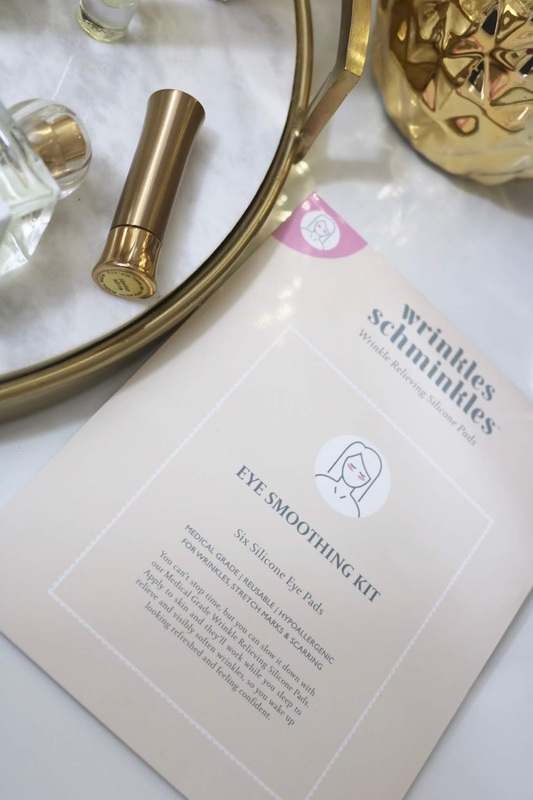 I have tried the Wrinkles Schminkles Silicone Pads to see, if they could help smooth out my wrinkles, as they promise. So do these really work? 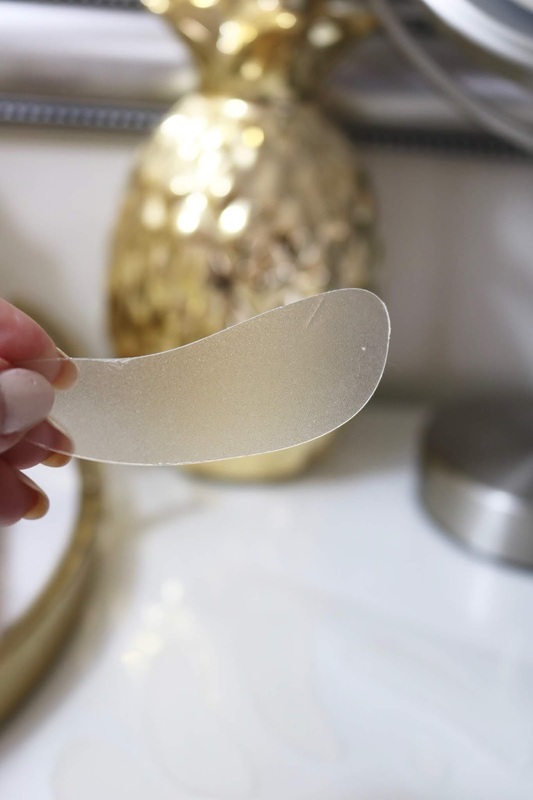 Wrinkles Schminkles are simply Silicone Pads that come in different shapes- for different parts of your body (such as forehead, eyes or chest). You can wear them while you sleep. Simply stick them on before bed, then peel off in the morning. 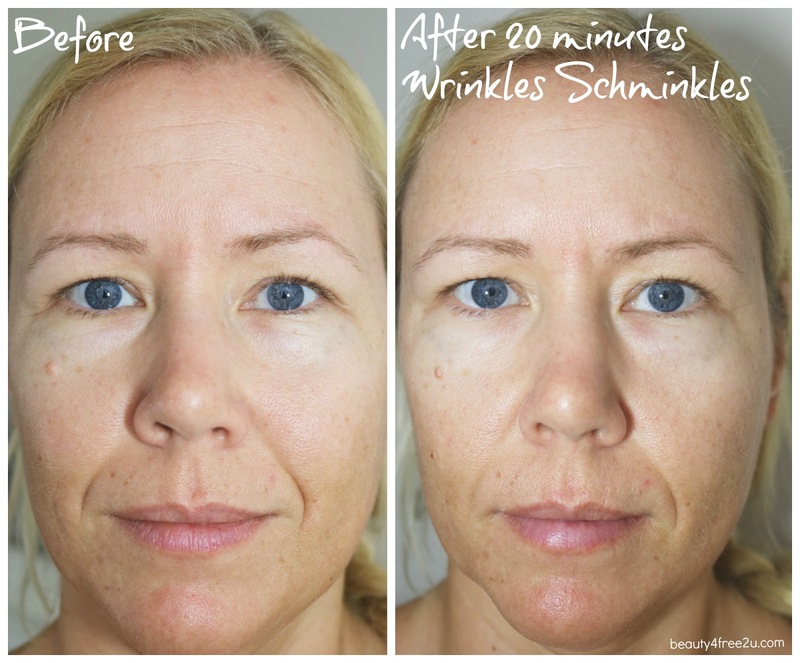 The promise to reveal smooth, wrinkle-free skin. They are re-usable for approximately 20-30 uses. Simple enough! As recommended in the directions, I wanted to sleep with them (hey I sleep with Frownies every night- since 5 years and I love them)- however: I quickly discovered that I would not be able to do so, because they were too uncomfortable for me to sleep with. These are not as soft, as I was hoping for and literally too thick (approx. 2 mm thick) to sleep with on my super sensitive and delicate under-eye area. I also don´t think these would really stick the whole night, as I move quite a lot during my sleep around and even when I apply them during the day, they won´t hold for hours but instead simply fall off. 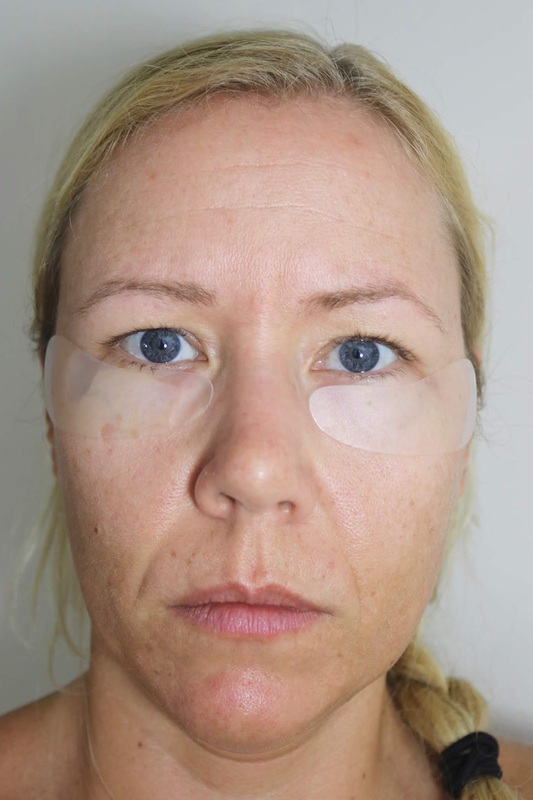 I also discovered that these Eye Pads are much too big for my small under-eye area! No matter, how many times I tried this- it always felt uncomfortable under my eyes. 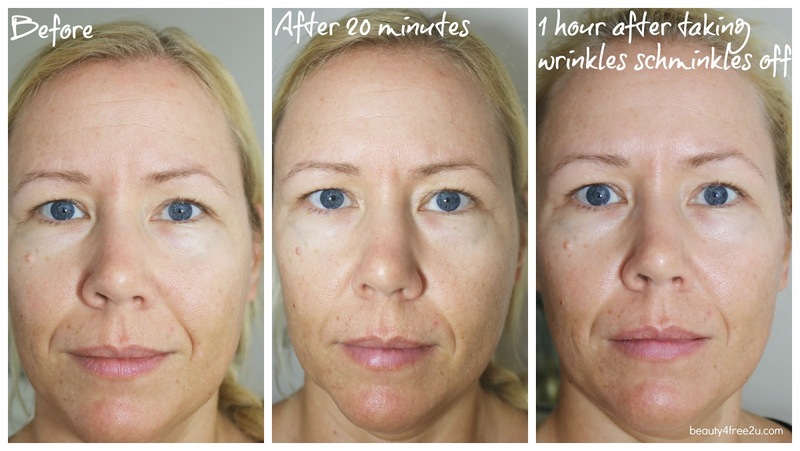 My skin under my eyes isn´t that firm anymore (hey, I am 42! 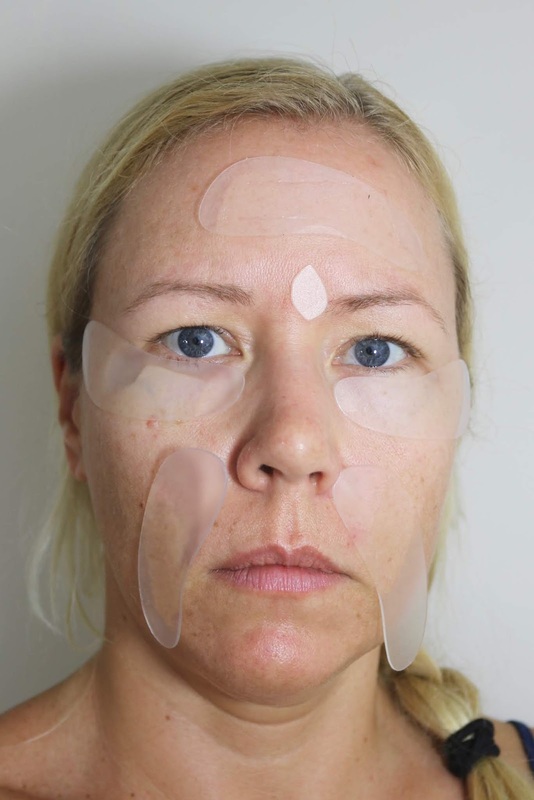 )- so the silicone pads will always pull parts of my skin up- it just never lays completely flat under my eyes- no matter how many times I tried. And believe me: I tried! The other thing is that you can´t use an eye cream or serum with them, because then they would not stick anymore well to your skin. And I really like to use an eye cream at night! See how there is a huge bubble building up on my left side? I tried everything but the silicone pad does not want to sit even on that area of my eye! So instead of sleeping with them, I applied them during the day and kept them on for 20 minutes to see the results! 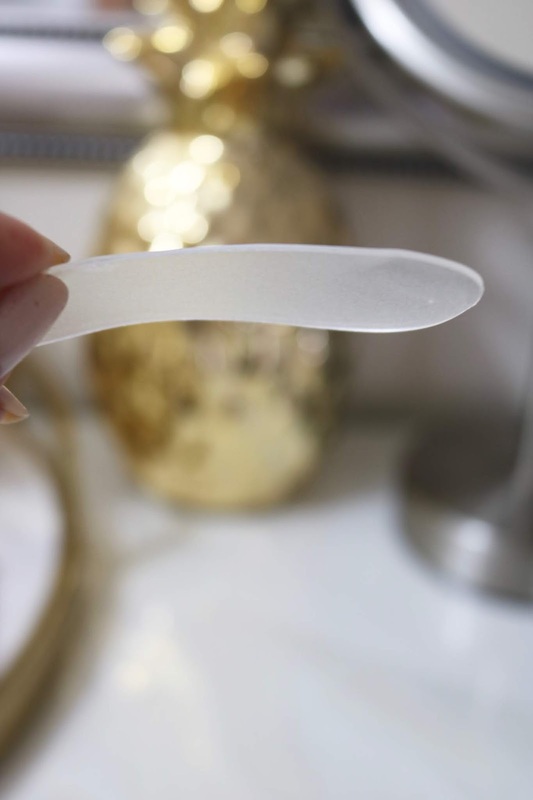 And for the heck of it, I also applied them on my forehead lines and I even "customized" (aka cut a small oval out) a silicone pad to fit right on my frown line (between my eyes). 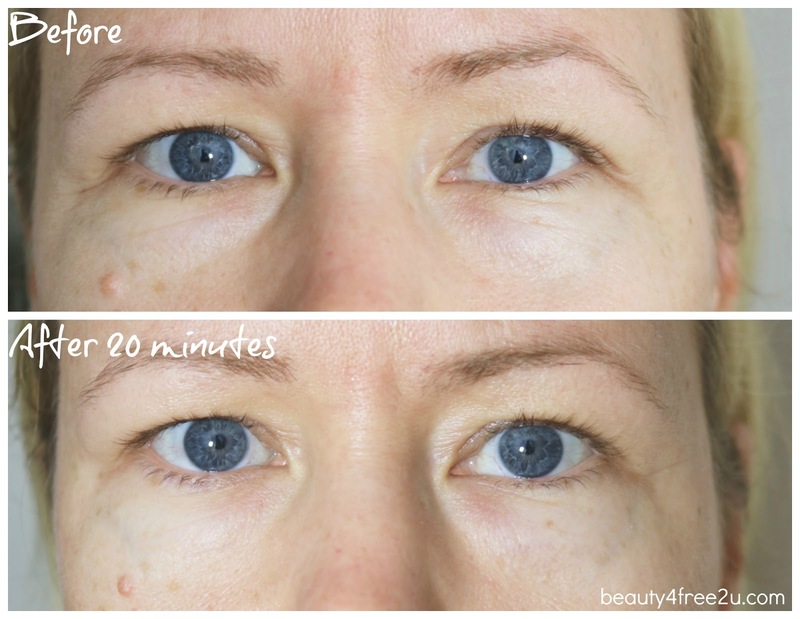 After only 20 minutes you can see a clear difference on my forehead, as well as under my eyes. 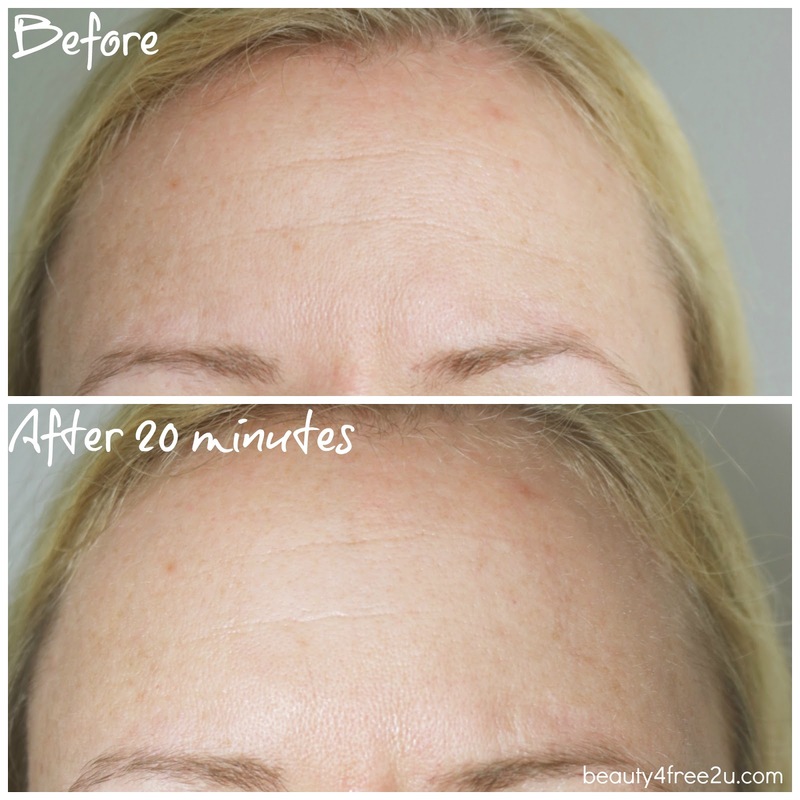 I have 2 forehead lines that seem much smoother afterwards and the lines under my eyes also appear less wrinkled, the second lower line almost diminished completely. However, my little "oval", that I cut for the frown line in between my eyes, did not do much at all. After taking the silicone pads off, you will also notice that the skin underneath looks somewhat matte- compared to the areas where no silicone pad was applied. So instantly, yes: these work! Check out Wrinkles Schminkles, if you like more info on these! 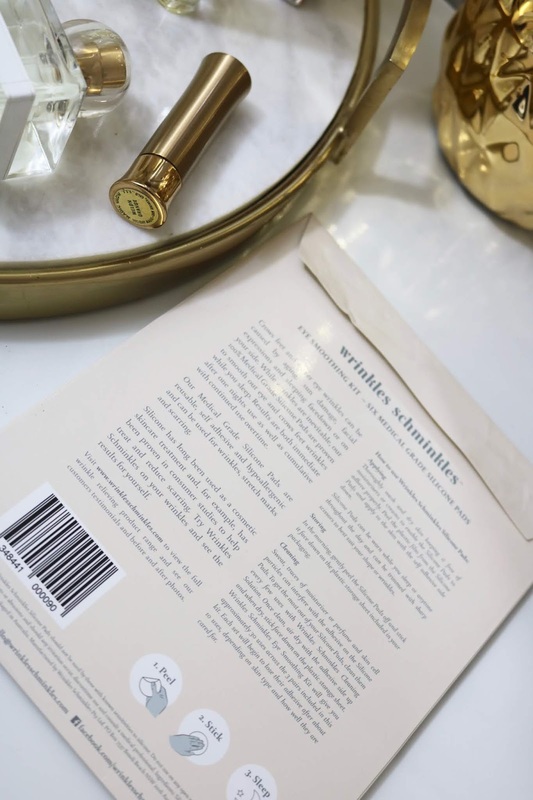 You can also check out my favorite instant wrinkle removers. Disclaimer: I received the products mentioned above for free. All opinions mine. Contains Affiliate links. Read my full disclosure.